Figarti – New Releases For June 2010! Red Bull Express – New! Expected in June 2010! The Red Ball Express was an enormous convoy system created by Allied forces to supply their forward-area combat units moving through Europe following the breakout from the D-Day beaches in Normandy. The term “Red Ball” was a railroad phrase referring to express shipping. The system lasted only three months, from August 25 to November 16, 1944, when the port facilities at Antwerp, Belgium were opened. 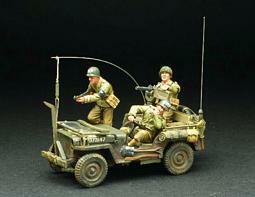 Hobby Master – New Releases August 2010. New Releases for August / September 2010. New Releases Expected in June! Of the 1,300 men Braddock led into battle, 456 were killed outright and 422 were reported wounded. Commissioned officers were prime targets and suffered greatly: out of 86 officers, 26 were killed and 37 wounded. Of the 50 or so women that accompanied the British column as maid, cooks and necessary women only 4 returned with the British—with around half being taken as captives. The French reported very few casualties. JR-017 — Combat Set #4 – Highlander and British Line Infantry Defending. Barrell’s was one of the few regiments to see off their attackers at Falkirk, which meant they were more prepared to face the Highland onslaught than many other regiments. It is also reported that the sight of the attacking Highlanders stumbling and tripping over each other in the marshy terrain, helped the redcoats to suppress any immediate panic. 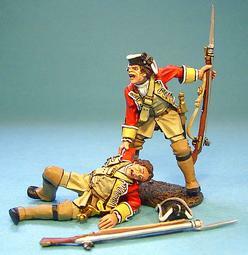 Cumberland’s own official account of the battle pays tribute to the 4th Regiment of foot. This month sees the release of the fourth hand to hand set. Suitable for use in virtually any Napoleonic Ballefield where British Artillery was being used. The clash of infantry against infantry was the most important aspect of Napoleonic battles. The technological advances of the period had made the artillery the most powerful arm in battle. The main part of the weapon was the gun, basically an elongated metal cylinder open at the muzzle end. A charge of powder and a projectile were loaded into the hollow centre or bore of the gun, and when the charge was ignited the resulting explosion propelled the projectile out the muzzle toward the target. Guns were designated by the weight of the round shot they fired. The most common and useful gun in the War of 1812 was the 6-pdr. The 6pdr round shot had a fearsome effect. At 600-700 yards under optimum conditions, it could cut through nineteen men or seven feet of earth. As the Monongahela Series is now back in production with the new 44th British Line Infantry sets, the next couple of Collectors’ Club Special sets will be for the Battle On Snowshoes Series. The first set will be two French officers. Ensign Durantaye of the Companies Franches de La Marine, was the officer who led the advance party of 95 men, most of whom were Indians. They had set out approximately 15 minutes before Langy, and Richelieu who were with the main force of 200 French marines and Canadian Militia. 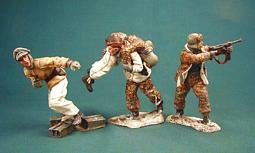 JJCLUB-SET#4 — Battle On Snowshoes 1758, 2 French Officers Ensign Durantaye, and Cadet Richelieu – Pre-order period ends June 1, 2010. Please Note Pre-order period ends July 1, 2010. This is K&C’s first-ever “Strictly Limited” American Civil War set and we’ve chosen to depict President Abraham Lincoln and three of his most famous Generals. Ulysses S. Grant, William Tecumseh Sherman and Ambrose Burnside. 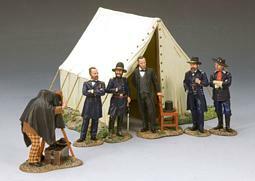 All four figures are based on images captured by the noted Civil War photographer, Mathew Brady. Just 750 sets of this limited edition four-figure set are being produced in their own specially designed box complete with a numbered certificate. One of the Union’s most legendary cavalry commanders, and one of the most reckless. Custer stands proud in all his Civil War finery (designed by himself). Perhaps the most famous pictorial chronicler of the Civil War and its soldiers, from the high and the mighty to the humblest private and non com, Brady photographed them all. Another of the Union’s most famous cavalry officers and one of the architects of the victory at Gettysburg. 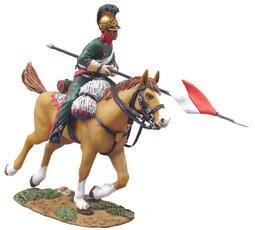 This mounted cavalryman carries the swallow-tailed guidon of his squadron. This mounted Lieutenant fires his Navy Colt at the opposition. A mounted trooper, carbine resting on the pommel of his saddle, takes a captured Confederate cavalryman to the rear. The Opel Maultier was originally developed to handle the terrible road conditions on the Eastern Front… The Germans realized that half-track style vehicles operated far better than normal all-wheeled transport trucks and lorries. A whole host of different applications could be used with the “Maultier”… including mounting flak guns on them. 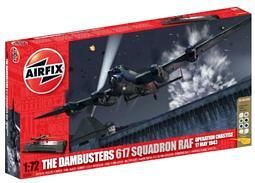 The latest releases from Airfix include 2 new Gift Sets. Each set includes Humbrol Acrylic Paints, Humbrol Precision Poly and Paint Brushes. Ideal childs second or third model kit, when they are ready for something a little more complex to build. Designed for years 8+. 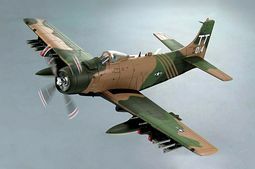 Many fun hours were had putting model kits toghther, good news is that it is still as much fun today, especially all the paint and glue is provided. 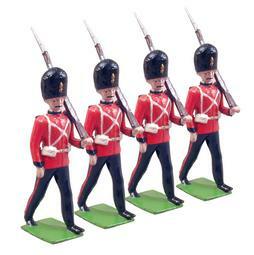 BR48008 — The Corps of Drums – 2nd Battalion – 24th Foot – 1879 – 12 Piece Set – Limited Edition of 500 Sets. When we said we were going to do as complete a representation of the compound as possible we were not kidding!